You can’t make huge amount of money overnight, it being a gradual process. Don’t give up if you’re not making money in early months. Keep one thing in mind – this form of marketing is not easy, it demands hard work and patience! Also known as company, brand or retailer who is selling a product or promote business. Advertiser have to pay for it. Advertisers invest in affiliate programs for lead generation, and sales. 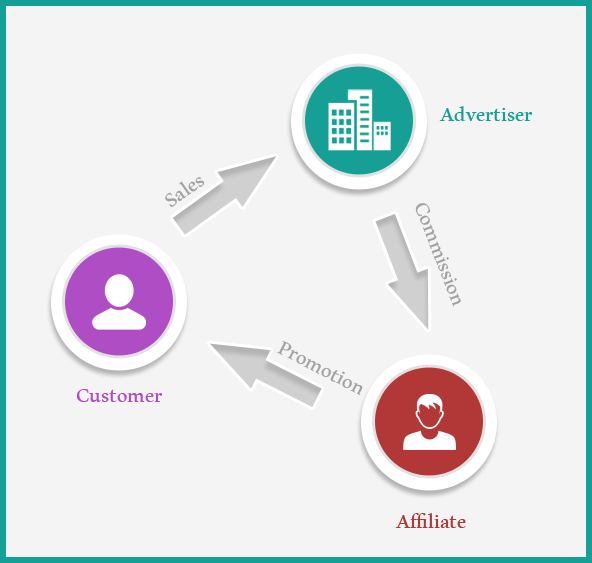 A publisher or affiliate promotes an advertiser’s product or service in exchange for earning a commission. Commission is the #1 reason why people engage in affiliate marketing. Most important party of this relationship. When a customer has clicked the affiliate link and performs the desired action, such as make a purchase or opt-in for downloads or newsletters on the advertiser’s site (Conversion). Javed – He Runs a Cloths E-store. Ravi – He Has a Blog about Cloths and Latest Fashion. Kavita – She Wants to Buy Some Clothes. Ravi’s blog provides very useful information about cloths and latest fashion trends. Now, he wants to make some money. So, he join an affiliate network. Javed wants to get more business. For that he needs some blogger to promote his product for him. So, he also joins an affiliate network. Ravi join’s Javed’s affiliate program. Now, Javed has a publisher. Ravi design a banner ad and add to his blog. Now people can see this ad for Javed’s store and may be they will shop there! Kavita reads Robbin’s blog and loves it. She views “Javed’s Cloth E-store” banner check it out! Kavita clicks the banner ad and buys some cloths from Javed’s E-store. Javed sells some cloths and Ravi gets commission (x% of sale). I hope, now you have an idea about affiliate marketing. Before starting it, do some research. It will help you to understand the industry, trends, opportunities and risks. Here are some tips to become an successful affiliate. It is the key factor in making money online. Don’t sell everything. It will confuse readers or visitors because there are so many products for them to choose from. Focus promoting a few hand-products. Narrow down your competition through a niche. You can pick the Internet marketing and blogging niche as both are very wide and offer many opportunities. It contains SEO, Social media, Content marketing, Blogging tips, Internet marketing tips, Email marketing, Mobile marketing, business blogging and more! Instead of chasing after people, why not make them come to you? Build your own blog to make profit. Ensure you provide plenty of information about each product which will make the consumer feel knowledgeable enough to purchase after reading your site. Become a master of your niche and understand it inside out. To build a blog, you can use some free and easy to use blogging platforms like WordPress, Blogger, Weebly and Webs. Do the products or services you are considering promoting really stand out? if you want to really run it as a business, Put your audience FIRST! Consider you’re not selling “a” product, you’re selling “your” product. Always Keep a thing in your mind – NEVER choose something just because they pay high. If you’re promoting something that’s not good for your customers, your business has a short life. And, if you don’t have CUSTOMER, you don’t have BUSINESS! “Content is King.” It can help to drive sales. Create more articles, useful information, product reviews, videos and publish on your blog regularly. It helps to attract visitors to your blog and more likely to buy from you. Are you creating unique content? Do something that makes your content stand out. Search engine also like fresh and informative content. So, content can open many doors for you and build your reputation in your niche! Content increases trust. Create targeted articles that include product as part of solution to a problem – It can be very effective. 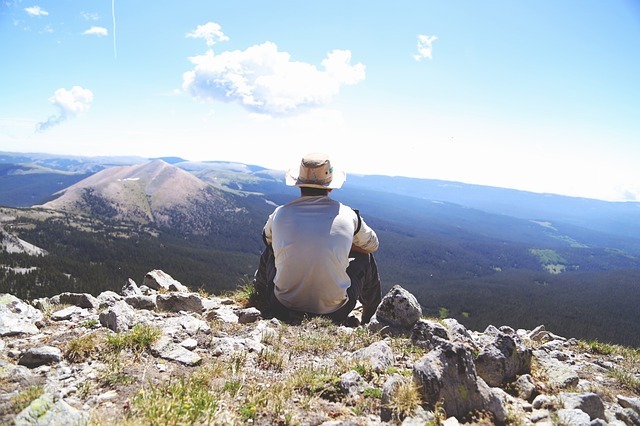 Engage with your visitors and allows them to leave comments on your posts. To make more sales, you need more people to visit your website. So use different traffic source. Use Social Media – Share your articles and product reviews. It will help to improve your blog visibility. Create a Facebook page. Use Email marketing – Send email newsletters for your subscriber it helps to drive more traffic on your blog. Be Mobile – If you’re not using power of mobile, you’re losing a lot of potential commission. In November 2014, mobile accounted for 46% of all affiliate clicks and 26% of all affiliate retail sales. Pay Per Click (PPC) – For new affiliates, “pay per click” has more opportunities. In PPC instead of buying a click, you’re really buying a lead. For long term business, you will always be paying money to make money. Don’t limit yourself. Use your skills and imagination to earn large sum of commission. Here are some points to remember to become a pro affiliate. 1. Do some research before the final start. 3. Pick the right affiliate program that comes under your niche. 4. Build a blog and offer something unique regularly to your visitors. 5. Always put your audience FIRST! 6. Use different traffic source and your skills to get more people. 7. Think some extra ordinary ways to earn more commission. 8. Just look what worked you first time and repeat it next time. It is a great way to earn money online. 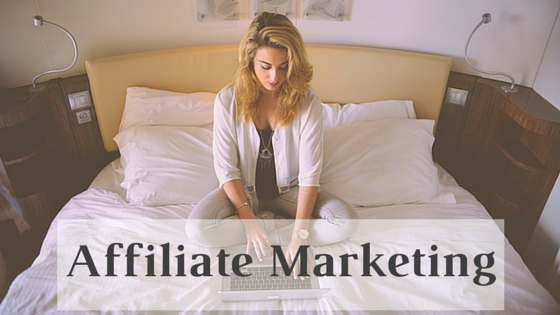 Affiliate marketing is very flexible. Enjoy it! Thanks for reading this article, drop your views in comment box below! Want to know more, check this out – What is Affiliate Marketing and How to Get Started Like a Pro? Well this is my first visit on your blog and i found some thing valuable to read. No doubt Affilaite Marketing is the immense source of making money online and you have shared lucrative tips. I am really glad to know that you liked this post. Yes, you are right, affiliate marketing has a lot of opportunities. Thanks for coming by and share your thoughts! I agree with your statement that “content is king” and we should create unique content for our websites. I have just started an affiliate website, and I promote amazon’s products, and it has been 1 months now but I could not make any sales. Can you please suggest some good keyword tools that allow me to pick less competitive keywords so that I can rank for them easily on search engines and boost my selling? Nice article, I am new and want to setup my brand new website and planning to go with as their tools are looking user-friendly, does anyone have experience with value.